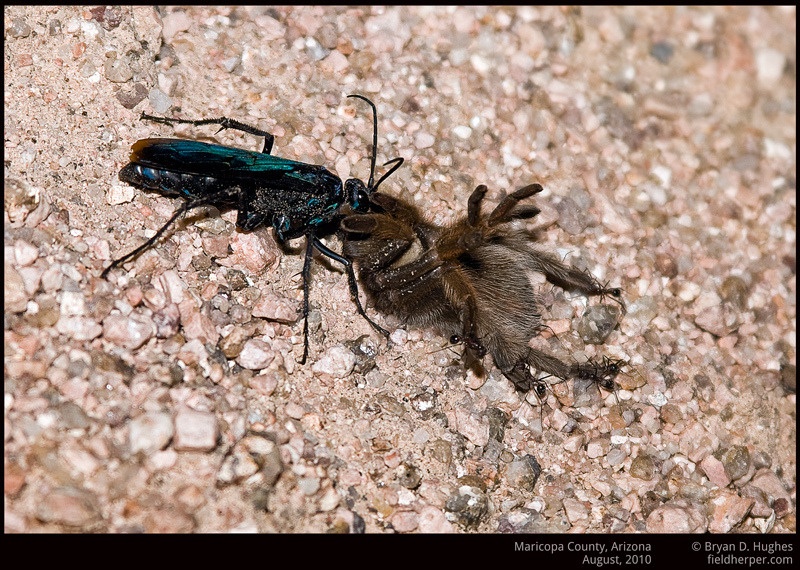 Here’s a paralyzed tarantula being dragged through the desert by a tarantula hawk, who had apparently taken a route through an ant nest. I can count 6 different things biting the spider at the same time … not a good day. This entry was posted on Tuesday, April 19th, 2011 at 6:49 am	and is filed under Invertebrates. You can follow any responses to this entry through the RSS 2.0 feed. You can leave a response, or trackback from your own site. Great capture! It’s on my list.